The right tripod head makes using a tripod a joy, and the Vanguard Alta GH300T is just such a head. It’s a grip head, which means you can make adjustments with a single hand, but unlike other grip heads, it doesn’t require you to squeeze a handle. A single lock at the thumb loosens and tightens. It is Arca-Swiss compatible. It also has a trigger built-in which can trigger your shutter with an included cord (includes cords for Canon and Nikon). I like this head very much, and I think you’ll enjoy it, too. I’m showing it in this video attached to the Vanguard Alta Pro 2+ tripod. 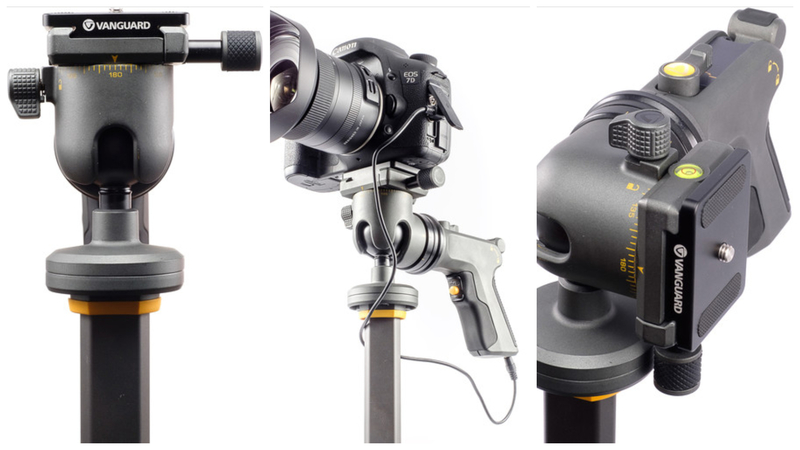 More specs and details on the head and the tripod right here.